Yesterday I presented the results of best panettone from two Italian publications, and found that the Tre Marie cake was the winner. 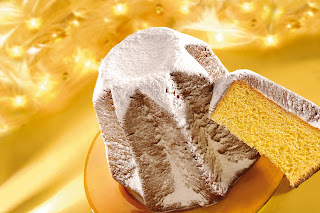 But as I also stated at the end, I actually prefer pandoro, a similar baked product, but with a softer, more compact interior, and no dried fruit and stuff. The pandoro may have a filling. Results as given in today's La Repubblica (taken from the consumer publication Il Salvagente) inform us that Tre Marie was also the best pandoro. The complete results are in this table. Again, I've never tried the Tre Marie brand, but I have had Bauli more than once, and thought it was good. Bauli (BOW-lee) will be a lot easier for you to find than Tre Marie. 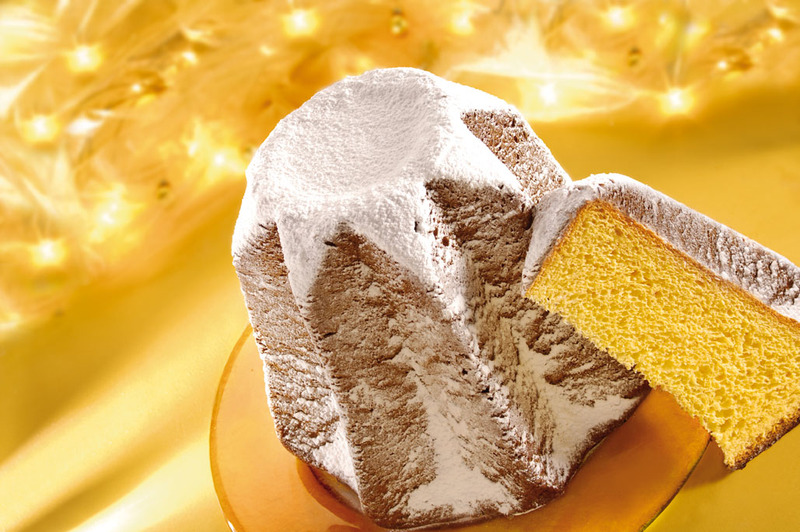 Due to the relative plainness of pandoro, it is sometimes served with a light sauce, based on cream, zabaione or mascarpone. So Tre Marie takes the cake. Actually, it takes two cakes, panettone and pandoro. Other Italian baked products associated with the season are panforte and panpepato, vaguely similar to fruitcake. Many are not enthusiastic about these, but I rather like them. Not for the uninitiated, more of an acquired taste.